2 + 2 Makes McNish & Capello? It was always likley that the R10 drivers who scored more heavily at Sebring would complete the full ALMS season this year - and with Tom Kristensen otherwise occupied with the DTM, logic suggests that Allan McNish and Dindo Capello will be the chosen ones in North America this season. 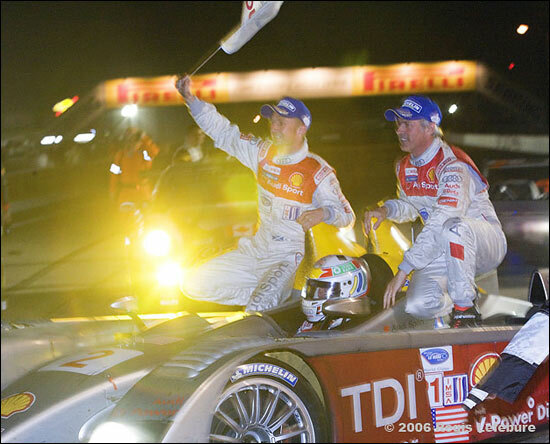 Here they are immediately after the 12 Hours victory at Sebring - with their (DTM) taxi driver.